Scientists at the MDI Biological Laboratory and the University of Maine have discovered that genetic material in the cell that was previously thought to be "junk" because of its apparent lack of function likely plays a part in regulating genetic circuits responsible for regeneration in highly regenerative animals. Viravuth P. Yin, Ph.D., of the MDI Biological Laboratory and Benjamin L. King, Ph.D., of the University of Maine identified these "long noncoding RNAs" by studying genomic data from highly regenerative animals included in a RegenDbase (Comparative Models of Regeneration Database) developed by the MDI Biological Laboratory. The discovery of these novel long noncoding RNAs and their role in regulating regeneration may lead to an answer to the paramount question that is being examined by scientists at the MDI Biological Laboratory: If highly regenerative animals such as zebrafish and salamanders can regenerate tissues and organs, why we can't we? The answer could one day lead to the development of drugs to trigger humans' dormant pathways for regeneration. Like most other mammals, the capacity for regeneration in adult humans is limited. The paper describing the scientists' findings was published in a recent issue of npj Regenerative Medicine. "Many chronic and degenerative diseases are characterized by a limited capacity to repair and regenerate damaged tissues," said Yin. "By advancing our understanding of the genetic regulation of regeneration in highly regenerative animals, we may one day be able to trigger regeneration in humans with drugs that manipulate these pathways." In particular, the scientists looked at the role of noncoding RNAs, or RNAs that were formerly considered "junk" because they do not make proteins, in the early stages of heart regeneration in the zebrafish, a common aquarium fish that is one of nature's champions of regeneration. 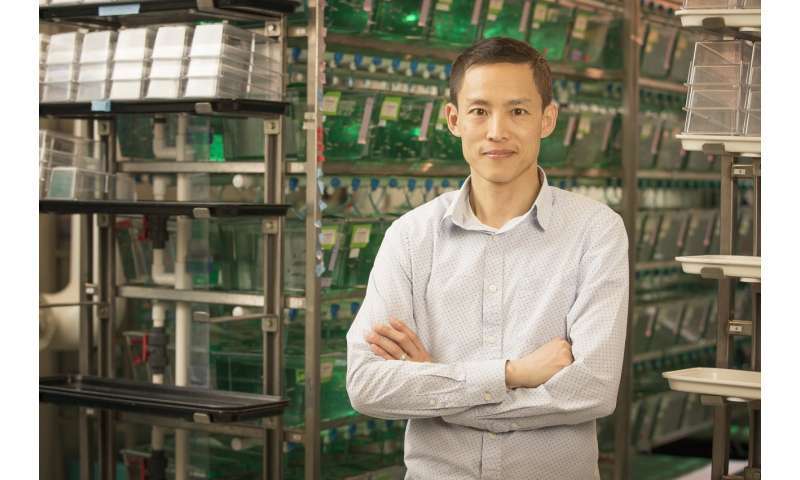 "One of the secrets to decoding why zebrafish can regenerate their hearts while adult humans cannot may lie with these noncoding RNAs," said King, the paper's lead author. 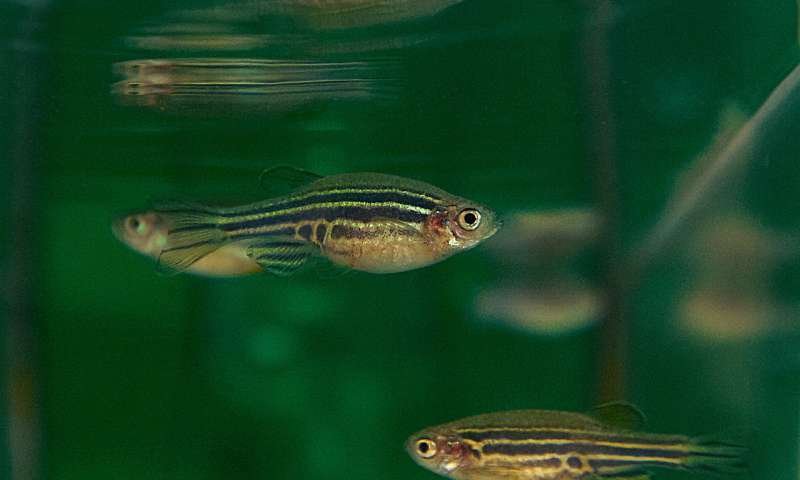 "The protein-coding genes in zebrafish and humans are more or less the same—what's different is how they are regulated during regeneration by noncoding RNAs." The discoveries of Yin and King—as well as other recent advances in the field of regenerative biology—have been enabled by the introduction of sophisticated genomic tools that scientists can use to identify the networks of genes responsible for orchestrating the complex process of regeneration in highly regenerative animals. "The biological role of more than 90 percent of the genetic material in the cell is unknown, which raises the question: Why is it there?" said Hermann Haller, M.D., president of the MDI Biological Laboratory. "This extraordinary discovery demonstrates the power of computational biology to map this uncharted genetic landscape." Yin and King studied the roles of two types of noncoding RNAs—microRNAs and long noncoding RNAs—in zebrafish heart regeneration. In addition to further elucidating the role of microRNAs, which are known to play a regulatory role in heart regeneration, the scientists also characterized the role of known and previously unknown long noncoding RNAs and the genes they potentially regulate through genetic proximity searches that King called "guilt by association." "Everything in biology comes with an instruction manual," said Yin, explaining the analogy. "If the manual for regeneration is in ancient Egyptian for zebrafish and in Greek for mammals, we can use the database to translate the codes into the same language so we can identify the components that are lacking in mammals."